A traditional Japanese food, donkatsu (pork cutlet) has been adapted to Korean cuisine and is now commonly found in Korean restaurants. 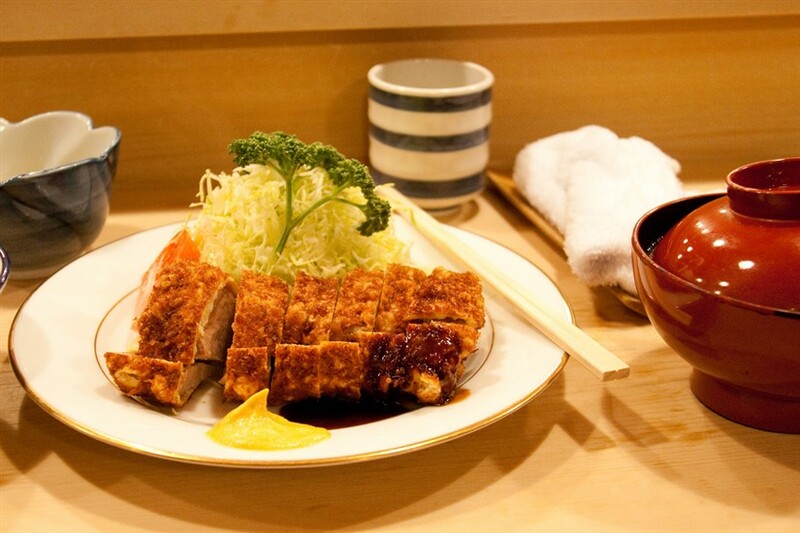 It was called katsuretsu or katsu until 1930 when the term ‘donkatsu’ was coined for it. Donkatsu is easy to prepare and requires minimal ingredients. A pork fillet or loin is salted, peppered and then dredged lightly in flour. The pork is then dipped in egg, coated in breadcrumbs, and deep-fried until golden brown. Donkatsu is a versatile dish that can be served in numerous ways. It is normally served with katsu (Japanese Worcestershire sauce) or bbq sauce but it can be served with kimchi, steamed rice, various vegetables or other side dishes. It can also be used in curry or as a sandwich filling. You can also serve it with an egg on steamed rice as katsudon. The pork can be replaced with beef, chicken or fish.